Rose leads by two heading into the weekend at Turkish Airlines Open. 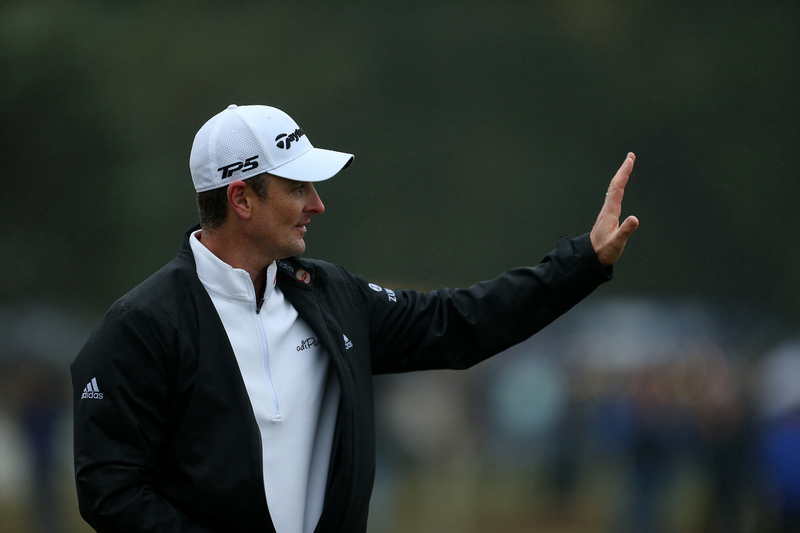 Justin Rose continued his love affair with Turkey to move a step closer to regaining the world number one spot and making the first successful title defence of his career. Rose fired an eagle and four birdies in a flawless opening 65 at the Turkish Airlines Open to share second place with 2016 champion Thorbjorn Olesen and three-time major winner Padraig Harrington, a shot behind clubhouse leader Paul Dunne. The 38-year-old is now a combined 44 under par for his nine rounds in the £5.4 million event, while he also won its precursor – an eight-man matchplay competition – in 2012. Rose spent two weeks as world number one earlier this season after finishing second in the BMW Championship, but would love to get back to the summit in style with a second consecutive victory at the Regnum Carya resort in Antalya. “It’s nice that there’s only one scenario,” Rose said. “It’s a pretty simple equation, I have to win to get back to number one, and that means I can just focus on playing good golf this week. “All aspects of my game are working, I’m just trying to get them working together and those are the weeks where you tend to win. “I didn’t drive it particularly well today but my iron play was good. I holed out for eagle (from 139 yards) on number four and made a birdie off the back of that so suddenly I was three under through five and never put myself in a position where I needed to chase. Dunne has not recorded a top-10 finish since April, but put himself in pole position for a second European Tour title thanks to seven birdies in an opening 64, his lowest score in Europe since a closing 61 to win the British Masters last October. The 25-year-old was one of a number of potential Ryder Cup players invited to Le Golf National in September, where Europe ran out convincing winners over the United States. With Harrington an odds-on favourite to be Europe’s captain in 2020, Dunne joked that he should be buying his compatriot a few dinners in the hope of a wild card, but admitted: “I think I’ve got a little ways to go to be a Ryder Cup player. Harrington admits another European Tour title would not change his golfing legacy, but joked: “Maybe winning a Ryder Cup as a captain, that might help.